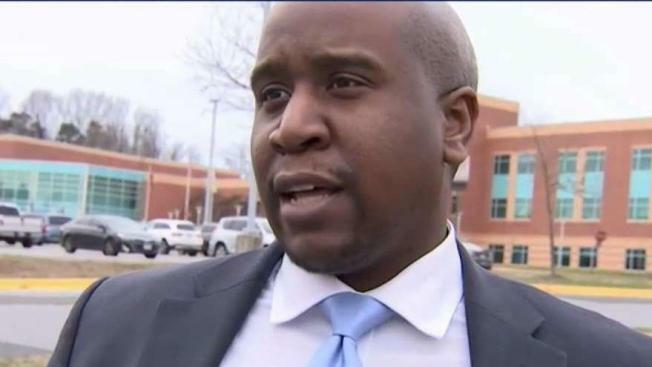 A school board member in Prince George's County, Maryland, says he wants the county to give free meals to public school students whose families are affected by the partial government shutdown. Board of Education member K. Alexander Wallace posted a letter on Twitter Saturday that is addressed to Dr. Monica Goldson, the interim CEO for Prince George's County Public Schools. Wallace requests in the letter that school system waive all breakfast and lunch meal fees for students who are not already enrolled in the free meals program until the shutdown is over. "In a county like ours, having one of the largest federal government employee populations in the nation, an effort such as this one, I believe, will ease the concerns of many families of having to pay for the nutrition of their children...our students," he says in the letter. Wallace explained that his parents are retired federal government employees who had to live through government shutdowns during the time he grew up going to school in the county. "While my parents no longer have to live with these worries, many of the families I proudly represent, and countless more countrywide, unfortunately do," he said. Wallace told News4 the cost of meals is already fully funded in the school system's budget and the money that students pay daily is used to pay down as much of the budget as possible. The fee waiver "would only be a temporary hit to the budget," according to Wallace. A full analysis of how much the bill would cost will become available on Thursday, board member Edward Burroughs said.